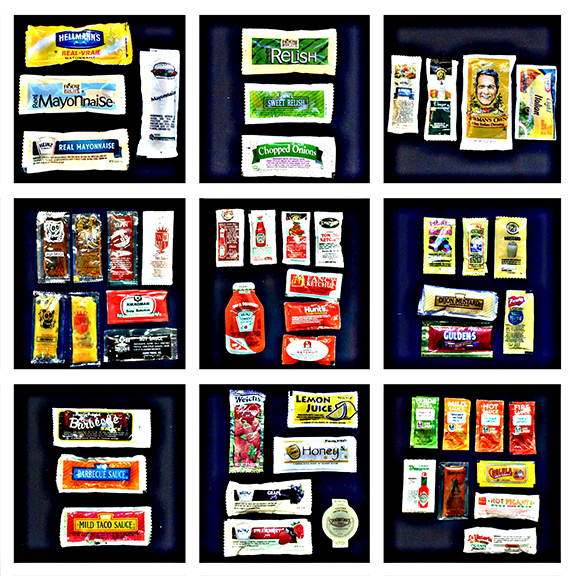 This is the result of two months of travel without refrigeration – my curated collection of shelf-stable condiments. Surely this will come in handy as I reenter the workforce. Form an orderly line, employers! § 3 Responses to galley taxonomy"
Kingdom, condiment; class, shelf-stable. Any self-respecting employer will require further classification into families, orders, and species. Just a heads up. This is what I would call a “macro sort”. You are currently reading galley taxonomy at plankton every day.